That was one of the tributes given to the late councilman David L. Miller by Sunbury Mayor Tommy Hatfield prior to the council meeting on Aug. 16. 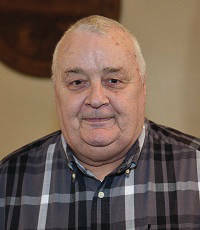 Miller, 74, died at Riverside Methodist Hospital on Aug. 12. Hatfield said Miller brought a business-oriented approach to his council work. “In my two years here, he made me feel very welcome,” said administrator Allen Rothermel. Police Chief Robert Howard said Miller helped him make the transition after he was promoted, encouraged the entire police force and always looked for the positive. Staff remembered Miller as someone who did his homework prior to meetings, but who was willing to change his opinion after listening to others and do the right thing. A memorial service will be held on Saturday, Aug. 26, 2017 at 1 p.m. at the Village of Sunbury Municipal Building, 44 W. Cherry St., Sunbury. 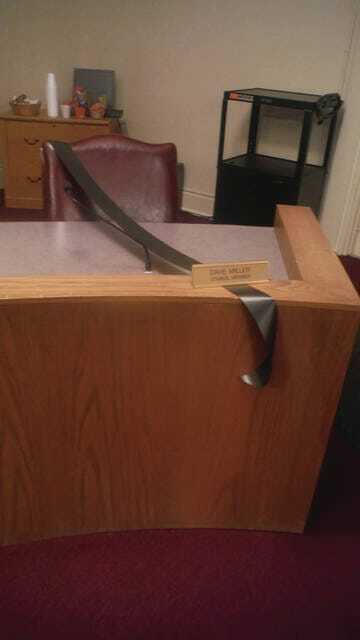 Sunbury Councilman Dave Miller’s seat was draped with a black sash during the Aug. 16 Village Council meeting. Miller died Aug. 12. In lieu of flowers, memorial contributions may be directed to www.pelotonia.org/ridefordad.